It turned out that LeBron James Did Ruin It For Me, Dammit, and in as direct a fashion as humanly possible, but that’s okay, it was a good game. However, it did reveal something troubling. 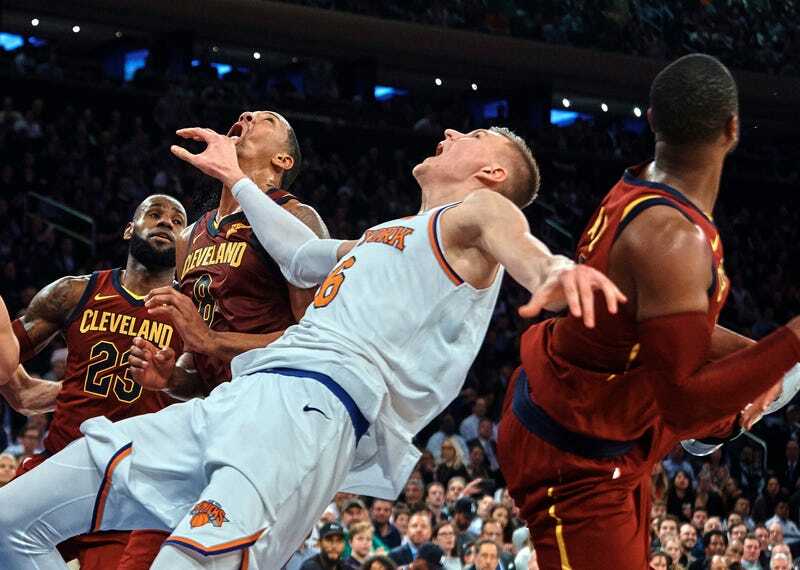 Kristaps Porzingis has finally tapped into a long and storied Euro tradition of flopping, and this has resulted in the delightful punking of Dwight Howard. But I worry that his newfound acting ability might bring him more trouble than it’s worth. A few extra possessions or free throws, a frustrated opponent, sure—but after so many of these falls, you get up wincing and clutching your right elbow, which is already suffering from bursitis, a recurring inflamation issue that might warrant a procedure during the offseason. Kristaps, you are a large and unusually shaped human being. Every time you take an awkward fall from a dunk a fleeting terror overwhelms me as I imagine your foot and Hall of Fame future both shattering. Please don’t flop in a way that endangers your body even more. At the very least, consult some experts—pro wrestlers? Vlade Divac?—and learn how to stick the landings a little more safely.